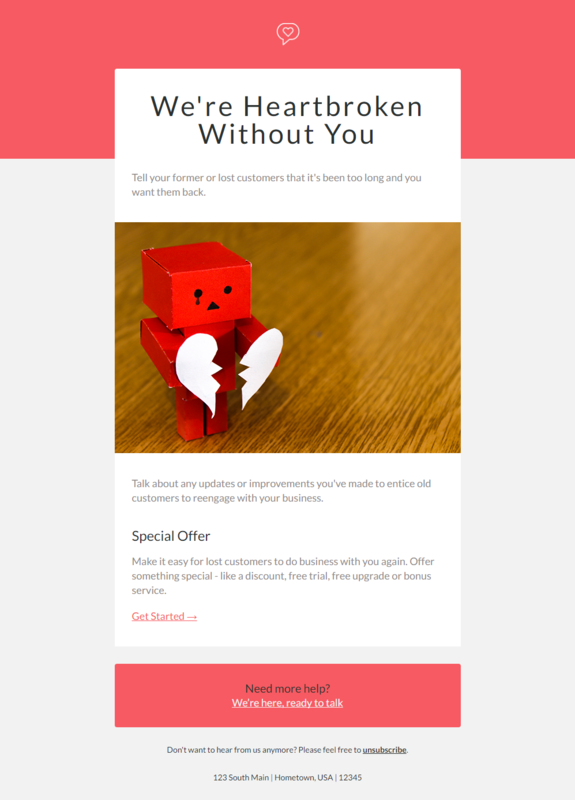 You’re sweet on your customers, and we want to help you let them know! 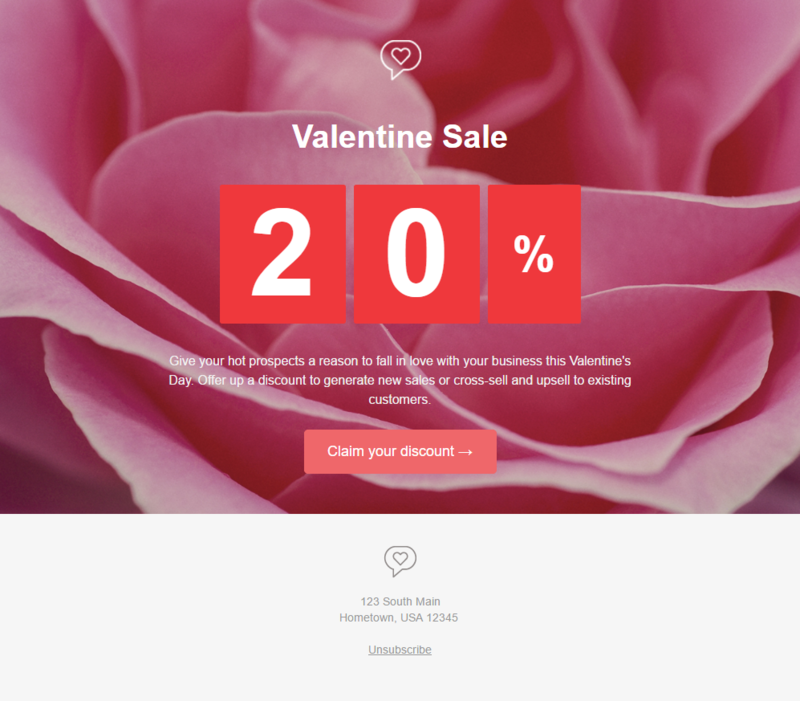 Download this Valentine’s Day email template pack to get your hands on 4 email templates that you can copy, paste, tweak, and send through your email marketing software. 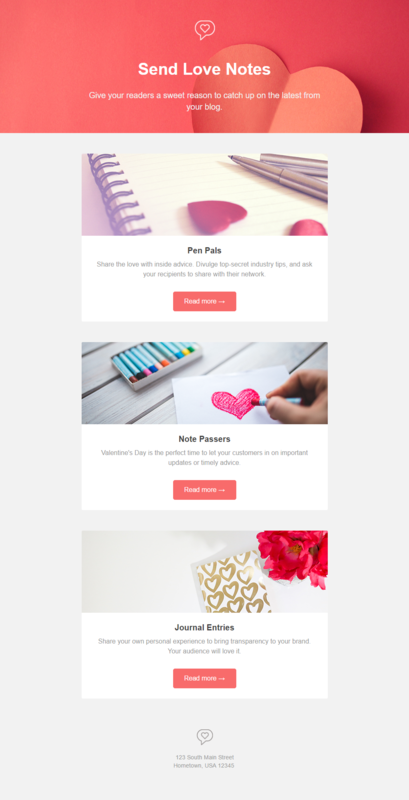 Templates include an Announcement email for your customers, a Blog Update email for prospects you want to keep in touch with, a Sale email to drive new business and Win-Back email to help you re-engage lost customers. 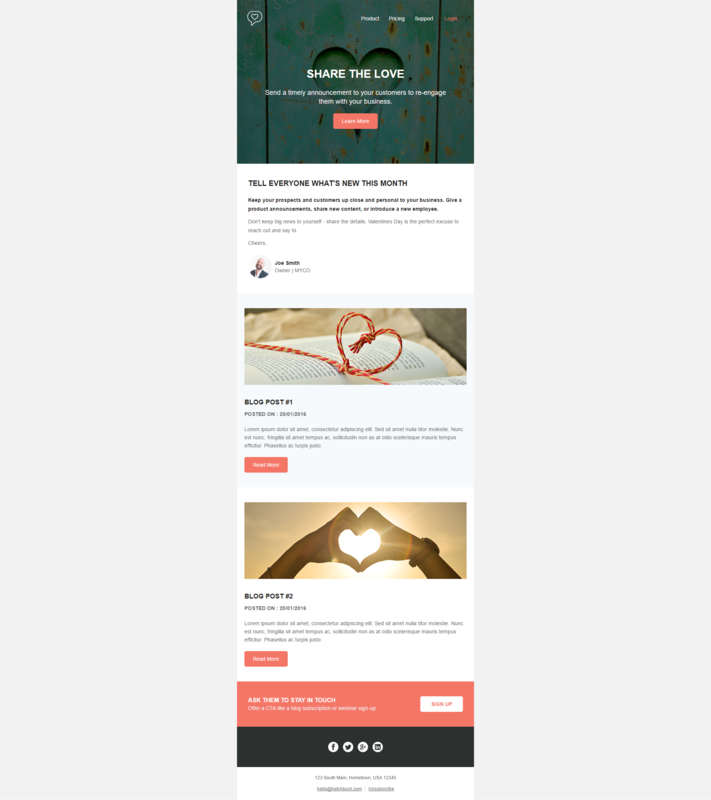 Fill out the download form, and we’ll email you 4 free Valentine’s Day templates. Go ahead. Send Some Love. Includes images and HTML files. Send through your favorite email marketing software.